04.04.2014 - Nongsa Batam. I prepare a lovely Salad for my Brunch. The best salad i'ver made. I must be too hungry!! Making a good salad dressing is all up to how you want your salad to taste like. Very basic dressing you need is salt, pepper, olive oil and lemon juice. 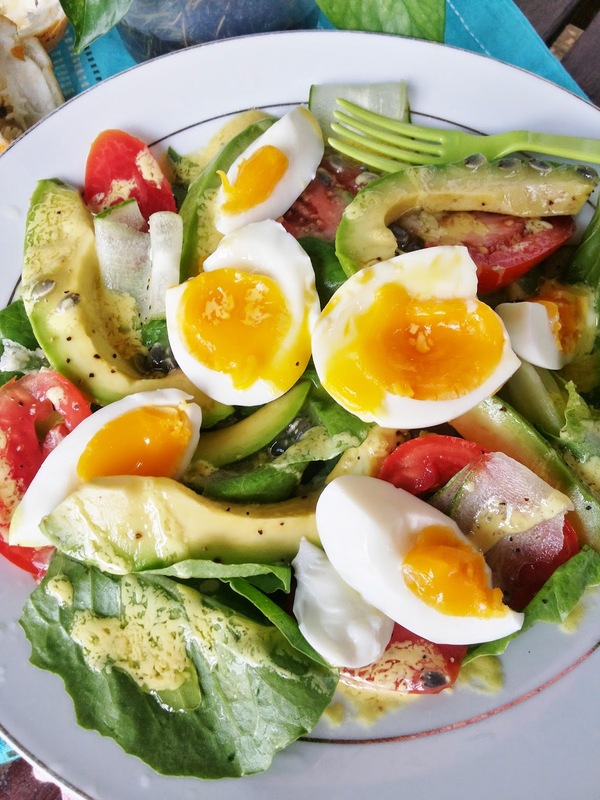 For this salad dressing, i used 1tbsp mustard & 1tbsp mayo with a juice of one passionfruit and top with my perfect boiled eggs. 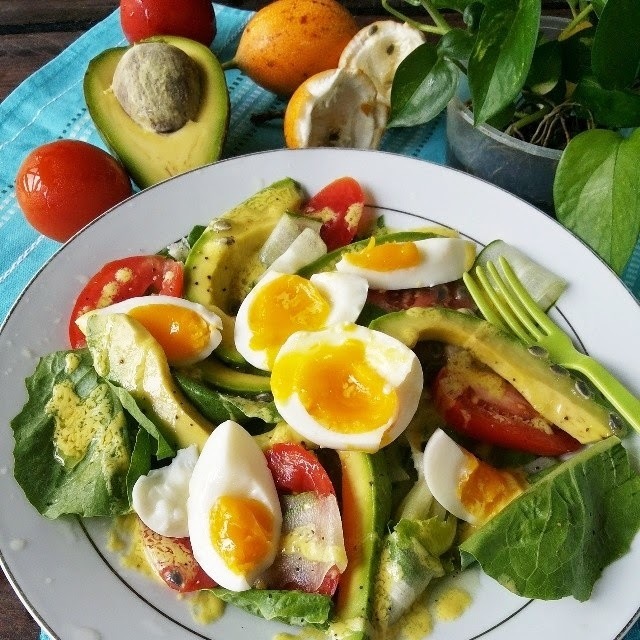 My simple healthy salad is ready in just a few minutes! It is beautiful and delicious! !